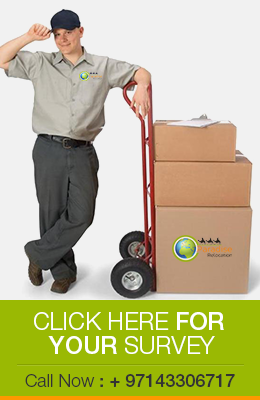 Paradise relocation will help you in all the aspects while you are moving your home. If you are moving from one city to another or you are moving from a city to a new county or you want to relocate your home from one continent to another we here at Paradise relocation offer you a smooth experience of Relocation here in Dubai. We are moving home from past couples of years. We have knowledge that every customer has different dimensions of requirements so we cater every one as they want to be facilitated. When our crew arrives at your place then we recommend every customer to sit back and watch the game. It does not matter how's precious your good are our crew will pack the good like our's. Paradise packing method is just like others those who do it with the name of export packing. We use quality material to secure your precious households. We make your items safe from all aspects to give every move process with a happy ending. We have facility of storing your household goods at our own warehouses. If you don't have any space to move to a new place then Paradise relocations will facilitate you in storing your goods with several storage options. With our warehouses in Dubai we provide complete storage solution on short and long term basis. We know how precious are your personal belongings, that's why we recommend and offer multiple insurance packages for your goods. Paradise Packing LLC © copyright 2016, All Rights Reserved.